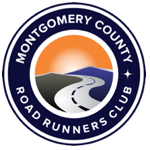 MCRRC’s RMS offers course measurement and certification for races in the Montgomery County, MD area. We have USATF-trained individuals ready to certify your course. Certification means that the distance is accurate to within 0.01%. Automobile and bicycle odometers do not have the sufficient precision that is required for this type of measurement. If an entry fee is charged for a road race, runners often expect a properly measured course. For a mark to be eligible for record consideration by USATF, it must be achieved on a USATF-certified course. USATF certification is an assurance to the runner that finish times will be based on a properly measured distance. Certification of road race courses in the United States is done under the auspices of the USATF Road Running Technical Council (RRTC). Courses certified by USATF are also recognized as certified by the Road Runners Club of America. Pricing is available upon request for this service.